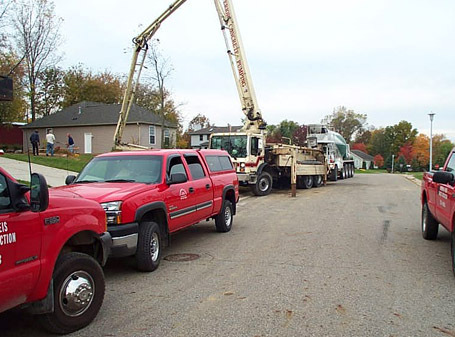 The company had its beginnings after World War II with Carl Hanneman who took over the business from his father in 1953. 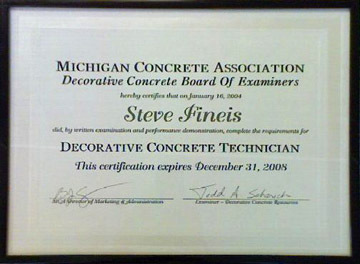 Mr. Hanneman incorporated Hanneman Concrete Construction Inc. in 1986. 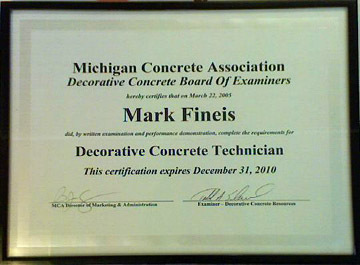 In 1988, Mr. Fineis purchased the company and subsequently changed the name to Hanneman and Fineis Concrete Construction Inc.
Hanneman and Fineis Concrete Construction Inc. is a Corporation wholly owned by one individual, Mark A. Fineis. 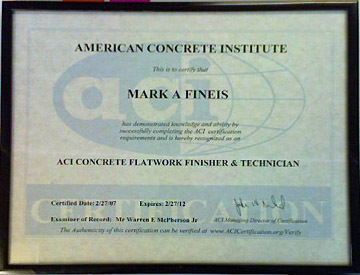 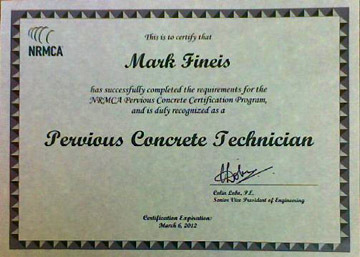 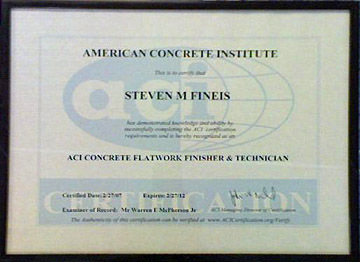 Mr. Fineis is a licensed builder, a certified pervious concrete technician, a certified concrete flatwork finisher and technician and a certified decorative concrete technician. 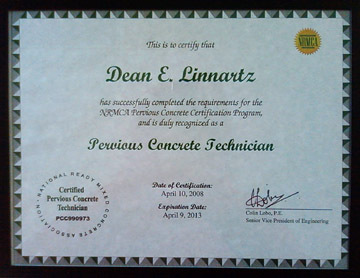 He is assisted in the operations of the company by his brother, Steve Fineis who is a certified pervious concrete technician, a certified concrete flatwork finisher and technician and a certified decorative concrete technician.